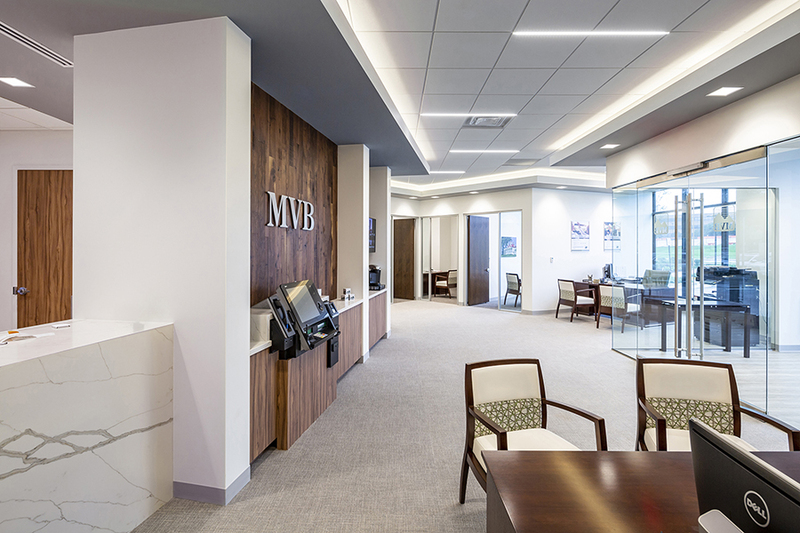 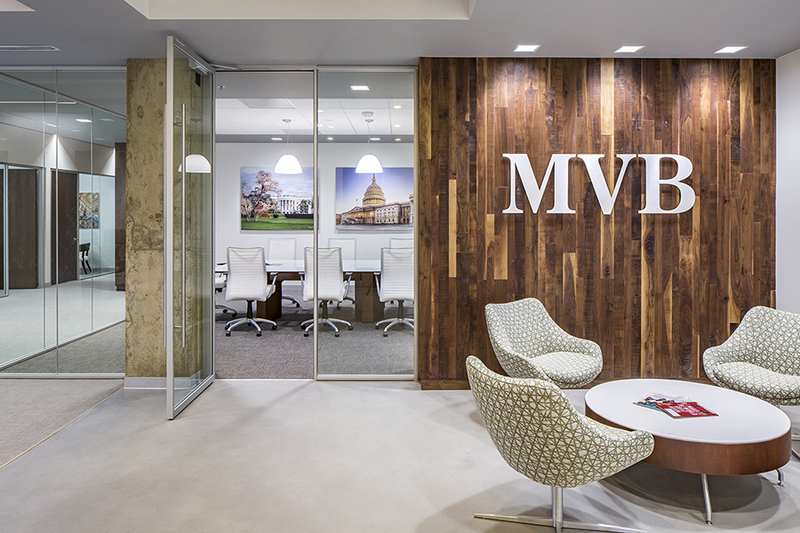 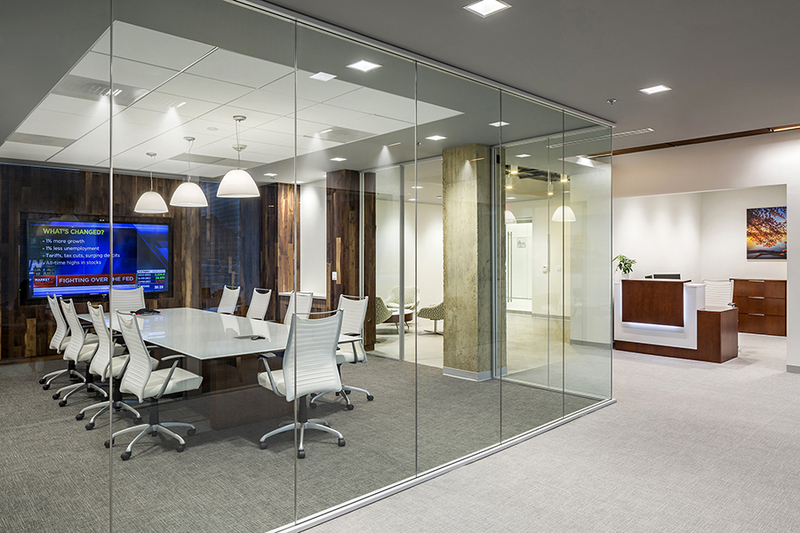 For their Northern Virginia regional corporate office, MVB Bank selected a ground-level space near a future transportation hub. 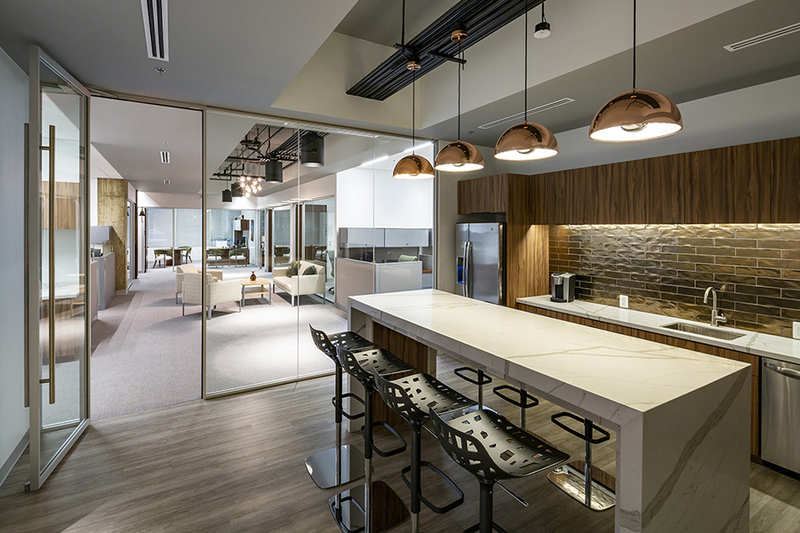 The 6,000 sf office includes a large central conference room surrounded by closed and open offices as well as a reception area and galley kitchen. 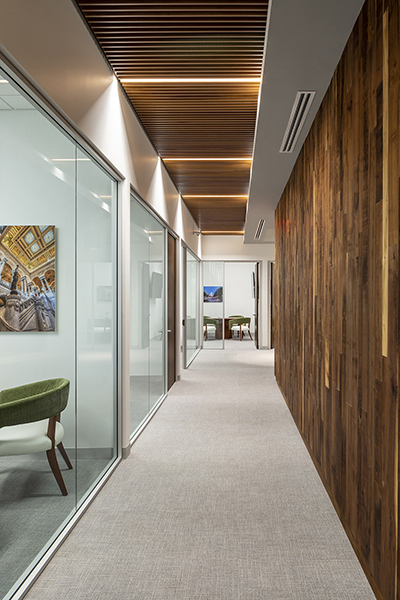 A nearby branch was relocated across the hall in a 2,000 sf suite with direct access to the parking lot. 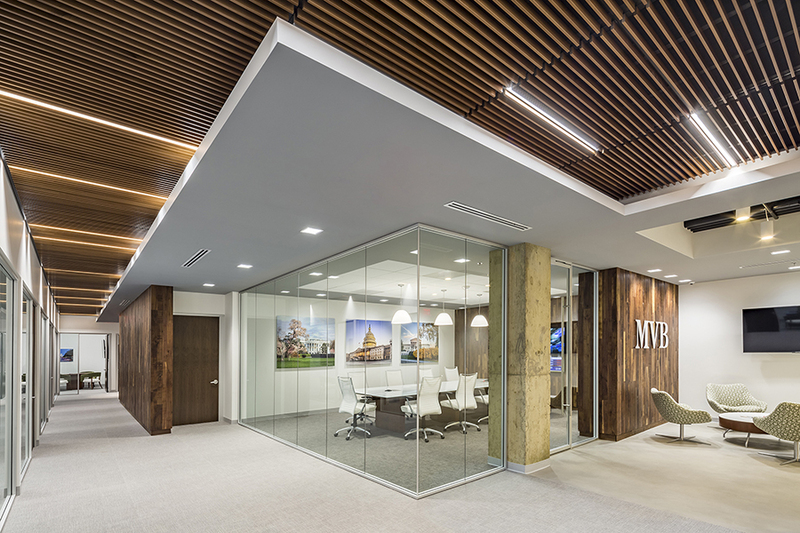 The interiors blend a more contemporary aesthetic while staying true to the brand’s heritage by blending industrial inspired materials with a clean palette of neutrals.